I imagine the excitement that happens at the Missouri Botanical Garden for the day on Saturday. I think especially to Emily and Carla, without forgetting the master of the day : Dr. Tom Croat. Steve, thank you for this beautiful photo with Joep. What is the title of his book? Or can it be found? Subject: [Aroid-l] Joep Moonen and I hope to see you in St. Louis onSaturday! I have had the great pleasure of spending the week with my good friend Joep Moonen from French Guiana. 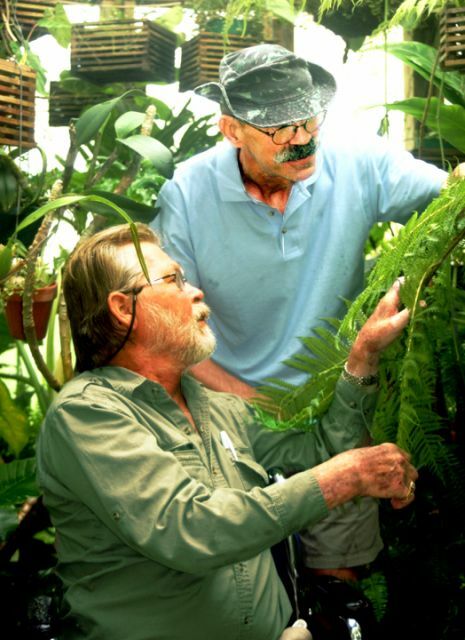 As most of you know, Joep is a very well known naturalist with a number of books to his credit and a fairly long list of plant species named in his honor. Joep has been our guest since Saturday afternoon and we have been editing his new book as well as working on several other projects important to him. We will leave tomorrow morning for St. Louis for the IAS MidAmerica meeting on Saturday. I hope to see some of you there!